Mount Aiguille was one of the first mountains climbed for its own sake. Although really it was the whim of the king. Whilst it was really a via ferrata/climbing frame in parts. Today it is a great semi-equipped via ferrata. 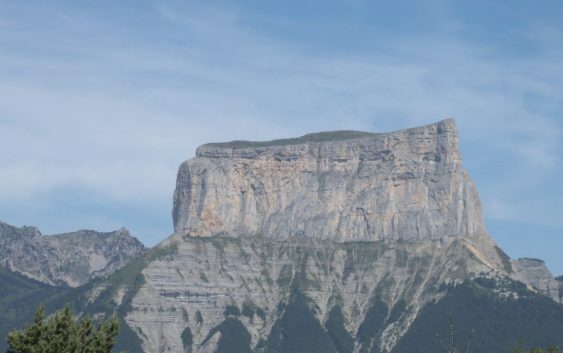 This peak will only take you one day to climb and is found just outside Grenoble in the Pre-alps. It is an impressive peak. It features an exposed and airy climb to the top and then a complex series of abseils down. For £400 our guides will give you a day you’ll never forget. <a href=”mailto: mark.reeves@mac.com?Subject=Mount%20Auguille”>Email Us</a> to find out more.